Powder manufacturers offer a wide variety of options for private label companies selling nutraceuticals in powder form. Protein powder supplements may be the most popular, but there are other powder nutritional supplements, too. How To Find The Best Powder Manufacturer? Whether you are an emerging or a seasoned entrepreneur, your powder manufacturer should be among the best in the industry. Even though the competition is tough, the forecast for protein powder products alone is exciting. By 2020, protein supplements in powder form are expected to grow to a $7.5 billion industry. To say that there is a real market for powder supplements is an understatement. As a business owner, your goal is to strategically team up with a reputable powder manufacturer to create your product line. In fact, you should choose the best powder manufacturer. What Are The Benefits Of Protein Powder Supplements? Nutrition studies have shown that whey protein can aid the body in building and maintaining muscle mass. Further, it is also good for athletes or bodybuilders who are recovering from intense physical activities. Protein powders are not just for bodybuilders and athletes. It is also good for people whose everyday meals have very little or no meat, chicken, fish, dairy, and eggs. One or two scoops of protein in their beverage certainly beat having to eat whole foods that they would normally skip. Vegetarians or people who stick to a vegan lifestyle tend to lack a significant amount of protein in their diet. Hence, Vitakem’s Vegan Protein products are selling so well. Whey, soy, and casein are three of the most common forms of protein. Whey is water-soluble, so you will see a lot of whey protein powders in the market. If you have a special formulation in mind, remember that Vitakem can take care of custom products for contract private label manufacturing. Why Choose Vitakem As Private Label Protein Powder Manufacturer? 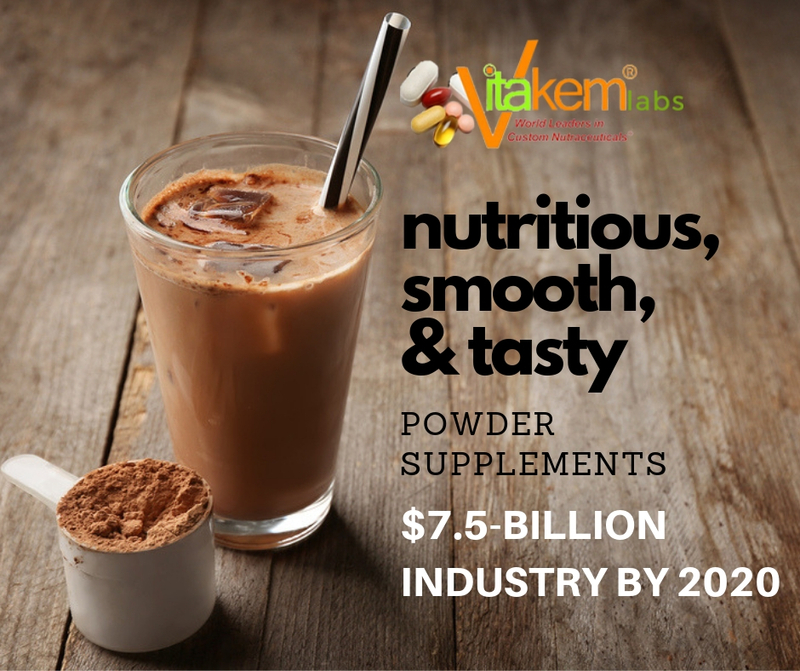 Vitakem has manufactured countless nutraceuticals, including protein powders, for numerous drop shippers and Amazon sellers worldwide. In fact, we continue to impress new and existing partners whose wholesale orders prove that they are thriving in the health supplements industry. Among Vitakem’s best sellers in the powder supplements category are the Whey 26 products in chocolate and vanilla flavors. Be sure to get these products for private label manufacturing. Vitakem also offers Vegan Protein-Chocolate and Super Carb for bodybuilders and athletes. 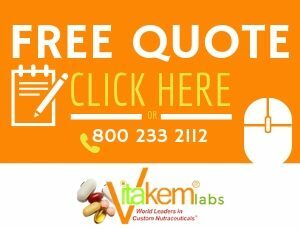 Vitakem takes pride in maintaining a 3,000-square-feet state-of-the-art cGMP laboratory. We are well-equipped and always ready to take care of your wholesale orders for drop shipping or Amazon. Our product development experts use only the best technologies for testing ingredients and monitoring product quality. Vitakem also uses advanced equipment that allow us to produce tens of millions of products (tablets, capsules, liquid-filled capsules, softgels, powders, and gummies) every day. 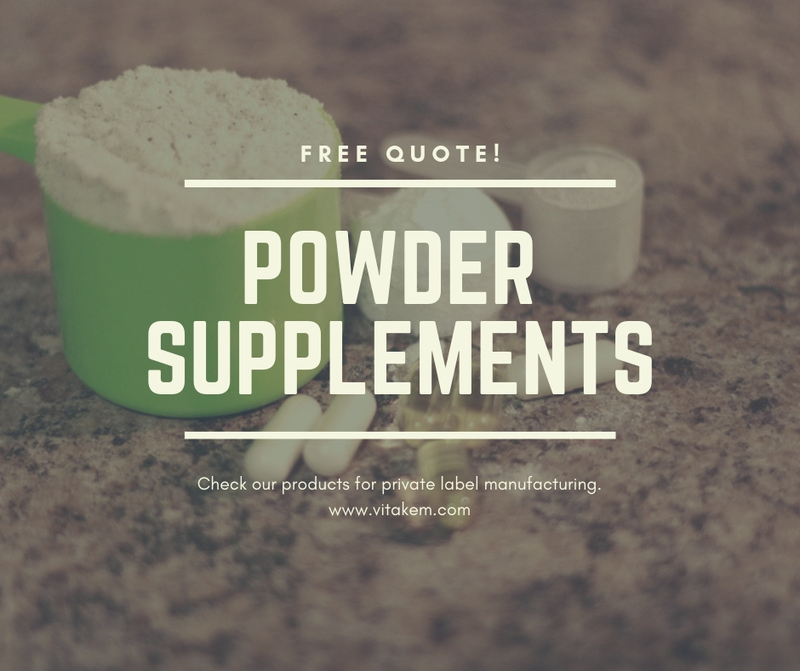 On top of that, we can also provide FDA-approved labeling and design for your powder supplements and other nutraceuticals. 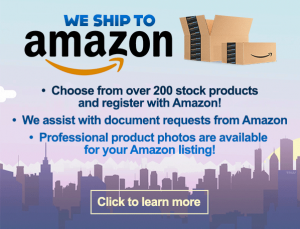 Newbie On Amazon And Drop Shipping Business? Vitakem has witnessed some astounding business growths from launch date to a few weeks, months, or years. The stories vary, but as in any goal in life, your determination will help you succeed in the health supplements business even if you consider yourself a newbie today. Today, you may be looking for a powder manufacturer. Tomorrow, you may be ready to take on the full support of a reputable supplements manufacturer. At any stage, Vitakem is ready to help your business grow. 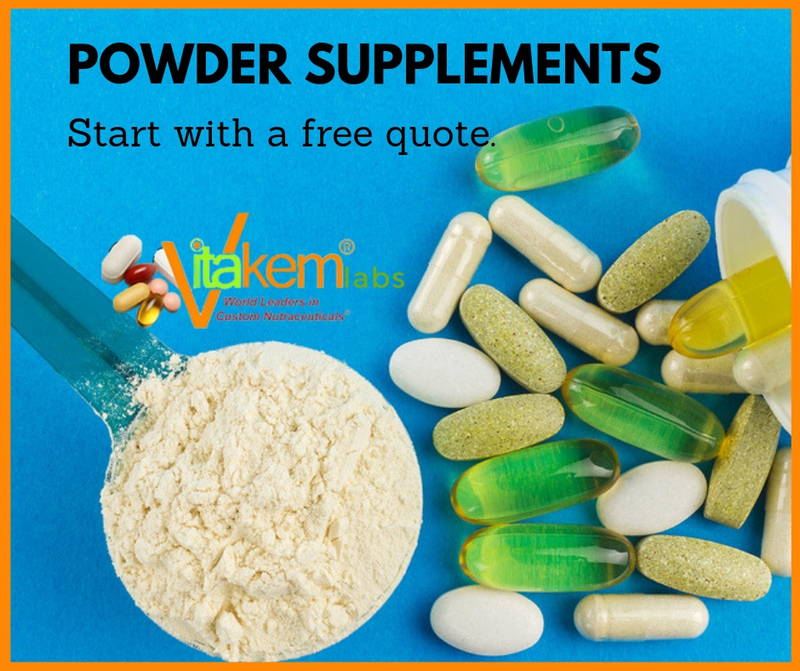 Contact Us At Vitakem Nutraceutical, Inc.
Ready to work with your powder manufacturer? Get your calendar and map out your plans for selling powder supplements online. Contact Vitakem today to get a free quote. You may also call us at 800-233-2112. We are always happy to get in touch with entrepreneurs who aim to deliver high-quality supplements to eager consumers.